Native American childhood was very different from today. They didn’t have the electronics and technology that children today grow up with. Hunting was taught early on and they all learned how to live off the wilderness. 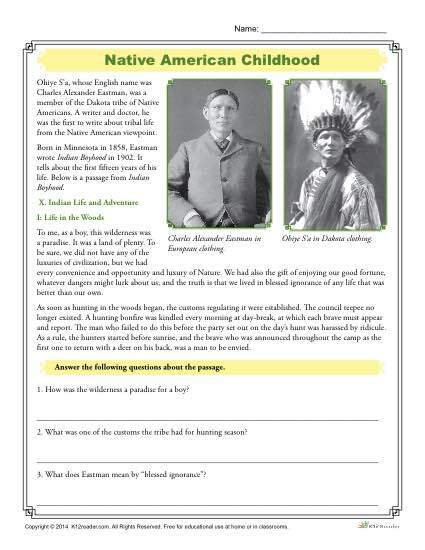 In this printable free worksheet students will read about growing up as a native american years ago. Find out why the wilderness was paradise the subjects in the article!